UPDATE: T-Mobile has confirmed to me that while PDP+ is no longer required, customers that want to take advantage of #GetOutoftheRed must sign up for a T-Mobile One Plus ($10 per month) or T-Mobile One Plus International ($25 per month) add-on. 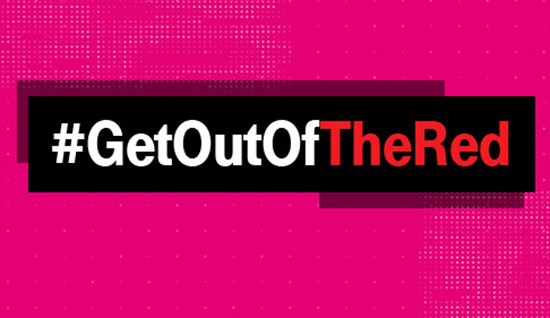 Two months after its launch, T-Mobile has made a change to its #GetOutoftheRed promotion. Starting August 2nd, T-Mobile will no longer require switchers to enroll in Premium Device Protection Plus (PDP+) to qualify for the #GetOutoftheRed promo. PDP+ is a $15 per month insurance plan that protects against loss, theft, and accidental damage and also includes McAfee ID Protection, McAfee Content Protection, and more. With the #GetOutoftheRed promo, Verizon customers can switch to T-Mobile and bring their iPhone SE, iPhone 6s, iPhone 6s Plus, iPhone 7, iPhone 7 Plus, Google Pixel, and Google Pixel XL. T-Mo will pay off whatever remaining balance is left on the device and the customer can keep their phone. The promo previously required switchers to sign up for PDP+, but that will no longer be the case starting later this week. This change makes the #GetOutoftheRed promotion a bit more attractive to would-be Verizon switchers, as their T-Mobile bill would be $15 less per month. Some folks just don’t care to have insurance on their device, or maybe they don’t want insurance through their carrier, and soon customers taking advantage of the #GetOutoftheRed offer won’t have to get PDP+ insurance. With such a quick pull of this requirement it seems like it could have to do with some legal issue facing the program. I am not a legal expert, just my initial opinion. It only said you had to enroll, it never said you had to stay enrolled. I dropped it as soon as i received the money for switching. I’ve ported my number from Sprint to Verizon with no problem 3 months ago. I wonder if people are canceling their Sprint line first before porting if so Sprint will try to hold your number. If you’ve had smart phones long enough – and not break them – your old phone becomes your insurance in the event of catastrophe. so is it rediculous? or is it offering a lower price to those who are fine with 480p on mobile and seldom, if ever, tether (most people)? I would make the jump from Verizon to T-mobile if T-mobile had service where I live (85634). I live in Southern Arizona and Verizon is the only carrier out here. The GetOutofTheRed promotion is very enticing because all three of our lines, 2 iPhone 7s and a Pixel XL qualify. Nah, it’s just legacy Alltel coverage out that way. Verizon has both the A+B blocks if i recall. Right, but that’s what.. 5-10MHz. That would become congested so fast, and with as little of people that live in southern AZ, it’s just not worth it. How long do you have to stay on the Plus account? Can you downgrade after you get your prepaid card?